The Sidhil Softrest Thin Mattress is an underlay mattress, designed to be used under a dynamic overlay mattress systems to support the dynamic mattress and protect it from the bed frame. 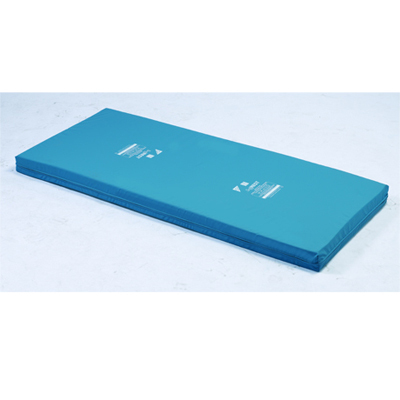 The 2½'' of foam ensures the patient does not 'bottom out' but also limits the overall height of the mattress combination, for safety reasons, when used in conjunction with side rails. When used with one of the Dynamic overlay mattress systems, the mattress has a maximum user weight of 180kg (28st). The stitched cover is made from a two-way stretch vapour-permeable PU coated fabric.